Since the start of economic and business progress in Dubai, the real estate sector remained the top priority of the most important emirate of UAE. The high rise buildings and other construction related projects are underway every time in Dubai. All this continuous construction work provides lucrative business opportunities for people related to real estate including construction companies, developers, brokers etc. There are mainly three types of brokerage licenses in Dubai and one among them is the commercial brokerage license. The holder of commercial brokerage license has the authority to represent both landlord and tenant in the government departments related to real estate (e.g. RERA). Representing someone in the government department is really an important task. One can easily estimate the profits that can be gained while having commercial broker license in Dubai after considering the importance of real state in the market of Dubai. Getting license of commercial broker involves various steps. In Dubai, there are two legal structures to act as real estate brokerage. If there is just one partner then the business is called ‘sole establishment’ where there is a single owner. The second structure is the Limited Liability Company (LLC) where there are minimum 2 and maximum 50 shareholders. Real Estate Brokerage Company can only be established under complete ownership of a UAE national. This real estate brokerage company can only be formed in Dubai mainland. If a non-UAE notional wants to acquire the commercial broker license then he must have completed a real estate qualification course, university degree (in economy, accountancy or finance) along with 3 years’ experience. The establishment owner and manager will provide good conduct certificate issued by Dubai police. In the end, they will have to pass the brokerage profession test. To obtain final license from DED, all the documents and RERA approval will be submitted to DED. The department will issue payment vouchers after receiving all the necessary documents. After payments, the license will be issued by DED. Thanks for the information about commercial brokerage license Dubai. 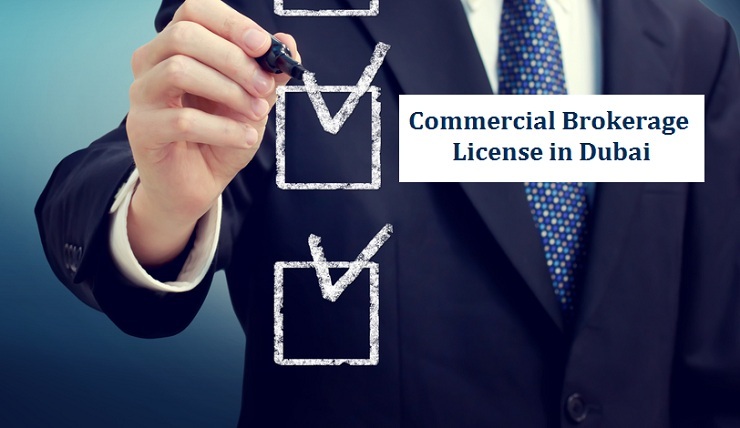 Its an amazing blog post about Commercial Brokerage license in Dubai.